Our board represents a cross-section of our country. Our members have a passion for NCF and those we serve. The members work hard to ensure NCF’s long-term sustainability, and oversee that donations directly affect those in need. 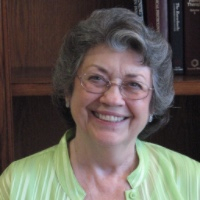 Cherry first became involved with NCF in the 1970s as a doctoral student at Rosemead School of Psychology (RSP), leading groups for Missionary and Ministers Conferences. From there her interest in serving the missions community grew. She is now an associate professor of psychology at RSP where she teaches a course that integrates psychology and spiritual growth. She also supervises the clinical work of both beginning and advanced Rosemead students. Over the years, she has become increasingly active in member care, using her skills as a therapist to counsel missionaries in the U.S. and at conferences in Thailand, Turkey, and Switzerland. Her passion for missions and the emotional and mental well-being of the Lord’s workers has fit well with her involvement as a board member with NCF since 1999.